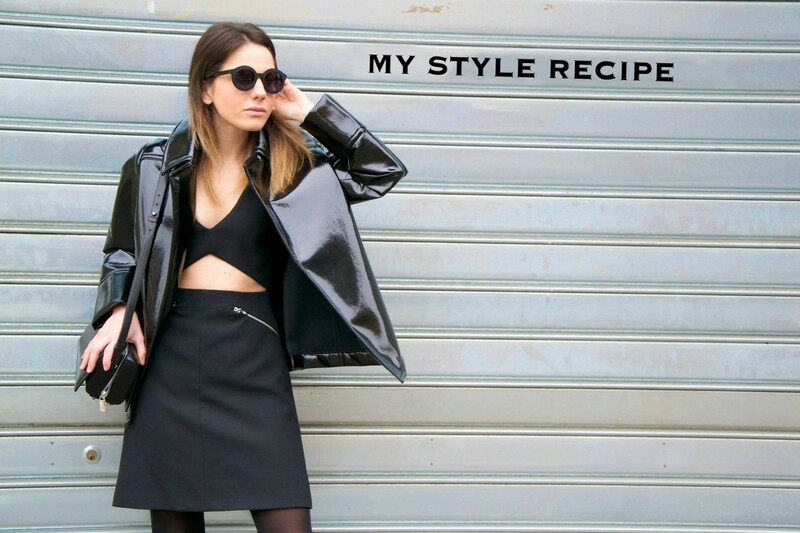 This entry was posted in Video and tagged And Other Stories, Black, Choies, Claudie Pierlot, Fashion, Moschino, Nicola Bacchilega, outfit, Style, Varsity jacket. Bookmark the permalink. We love this!!! The jacket and the boots are amazing!! Looove tha jacket so much! Looks great with the leather shorts! So cool outfit ! Shoes are just stunning ! I am so in love with Claudie Pierlot. The new collection is seriously nice. Great outfit! I especially love your shoes and your phone case which that is awesome! so fun pictures and I love this outfit. The boots and jacket go so well with each other! Very nice jacket and phone case!!! My Name is Danielle Hudson. i live and work in Oxfordshire, UK. I will love to share my testimony to all the people in the forum cos i never thought i will have my girlfriend back and she means so much to me..The girl i want to get marry to left me 4 weeks to our weeding for another man..,When i called her she never picked my calls,She deleted me on her Facebook and she changed her Facebook status from married to Single…when i went to her place of work she told her boss she never want to see me..i lost my job as a result of this cos i cant get myself anymore,my life was upside down and everything did not go smooth with my life…I tried all i could do to have her back to all did not work out until i met a Man when i Travel to Africa to execute some business have been developing some years back..I told him my problem and all have passed through in getting her back and how i lost my job…he told me he gonna help me…i don’t believe that in the first place.but he swore he will help me out and he told me the reason why my girlfriend left me and also told me some hidden secrets.i was amazed when i heard that from him..he said he will cast a spell for me and i will see the results in the next couple of days..then i travel back to US the following day and i called him when i got home and he said he’s busy casting those spells and he has bought all the materials needed for the spells,he said am gonna see positive results in the next 2 days that is Thursday…My girlfriend called me at exactly 12:35pm on Thursday and apologies for all she had done ..she said,she never knew what she’s doing and her sudden behavior was not intentional and she promised not to do that again.it was like am dreaming when i heard that from her and when we ended the call,i called the man and told him my wife called and he said i haven’t seen anything yet… he said i will also get my job back in 2 days time..and when its Sunday,they called me at my place of work that i should resume working on Monday and they gonna compensate me for the time limit have spent at home without working..My life is back into shape,i have my girlfriend back and we are happily married now with kids and i have my job back too,This man is really powerful..if we have up to 20 people like him in the world,the world would have been a better place..he has also helped many of my friends to solve many problems and they are all happy now..Am posting this to the forum for anybody that is interested in meeting the man for help.you can mail him on this e-mail;bravespellcaster@gmail.com i cant give out his number cos he told me he don’t want to be disturbed by many people across the world..he said his email is okay and he’ will replied to any emails asap..hope he helped u out too..good luck his email;greatpowerspelltemple@gmail.com,or kindly visit he website http://greatpowerspelltemple@gmail.com .